Welcome to a brand new post! How's your week going so far? Sorting everything out for Christmas? Let me know down below! 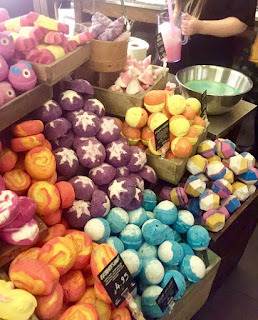 I thought that today, I would talk to you guys all about the Lush Christmas Event that I was invited to a good couple of weeks ago. We entered the store and walked into a Winter Wonderland via Fairy Lights. The only problem with this was trying to guide Luke around them as trying to get a tall blind person ducking under fairy lights whilst there were bowls of water about was a bit tricky. It also kind of triggered my anxiety sadly because I kept thinking that either one of us would end up catching them then they'd fall into the water and the whole store would be evacuated... Just me, haha? 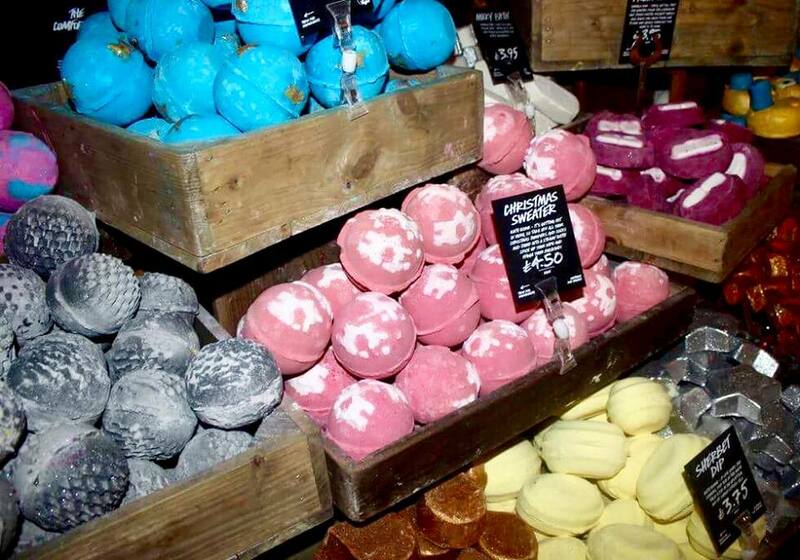 Anyways, we grabbed a drink each and went to go smell some of the amazing bath products from the Christmas range. I loved the smell of Christmas Sweater which contains Ginger & Mustard Powders and Clove Bud Oil which gives the bath a spicy but warming scent. These ingredients are all stimulating which is great for those cold nights. It also has a wonderfully festive reindeer design engraved itnto it. Star Light Star Bright is back this Christmas! This Bath Melt holds a special place in my heart. It's one of the first bath products from Lush that I fell in love with. I'm not sure if its because of the wonderful butters that are in this product, the scent or the fact that its covered in sliver lustre but I just love it! The scent consists of Lime, Ginger and Almond Oil which gives the product a spicy but fresh scent which I love at this time of year! Plum Snow was a new one that I was actually adoring. I've tried Plum Snow before via it's Shower Gel relative Plum Rain and I was a bit unsure with that but I think that this bubble bar is slightly more sweeter which makes me love it that little bit more. It's also quite a big size for a bubble bar! This product contains Osmanthus Absolute, Pettigrain Oil and Sicilian Mandarin Oil which gives this Bubble Bar a sweet yet zingy smell which is great for those long dark nights. 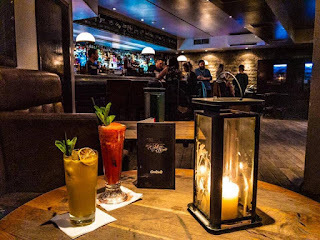 We then headed down to the Spa area with Jada to find out more about the Karma Spa Experience, If you want to find out more about the Karma Spa Experience then click here to read my post about the Karma Spa Event that happened at Lush Leeds Spa a while ago. Mysef and Luke then talked to Katie and found out that we sadly had missed the chance to create two bath bombs so we decided to chat with Katie for a while and check out some of the new solid versions of products that are out for Christmas and the new Shower Gels. The Solid version of Shower Gels and Shower/Body Conditioners are there for people that are on the go or for those who want to save some packaging. They are not a soap due to the ingredients that are packed in them but also because they actually lather up like a proper shower gel. Due to moving into halls or the year, I have slowly being loving Shower Gels and Jellies from Lush more and more. Lush have released six shower gels this year which includes Bubbly, Snow Fairy, Rose Jam, Twilight, Santa's Christmas and Berry Berry Christmas. I think that most Lush fans will hate me when I say I'm not the biggest fan of either Twilight or Snow Fairy. I can cope with Rose Jam every now and again but I normally forget to pick some up at Christmas due to the Rose Jam Bubbleroon and now the Body Spray. I love Santa's Christmas! If you like Santa Baby Lip Scrub or anything that smells of Cherry Cola then you will love this! I'm a bit confused as Berry Berry Christmas as I get Berries but I don't fully understand why this is under the Christmas range as it could be an all year round scent. We said our goodbyes and left the event with Jada and Katie and walked towards the train station. 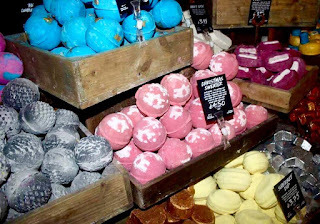 Have you tried any of the Lush Christmas range? Let me know down below! Click here to have a look at Lush and all of their products. Thanks to the Lush PR staff for inviting myself and Luke to the event and for putting on this very fesive event. 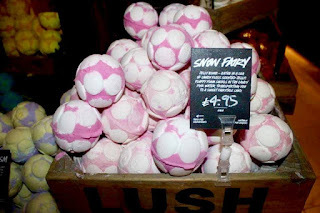 I hope that you've enjoyed this post about Lush and I hope that you come back next time for another blog post!